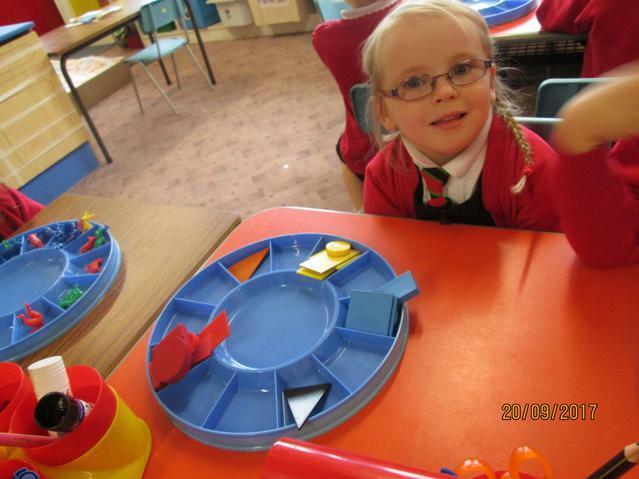 In P2 we have been finding out about the number stories of 5,6,7,8 and 9! 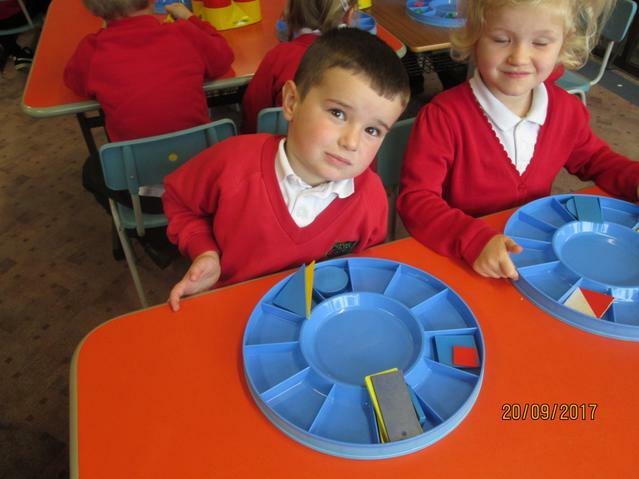 We have been exploring different ways to make these numbers! 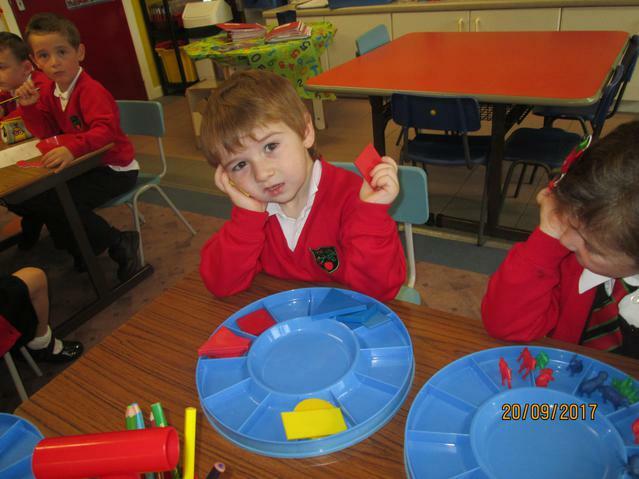 In P1 we have been finding out about the numbers 1,2,3 and 4! 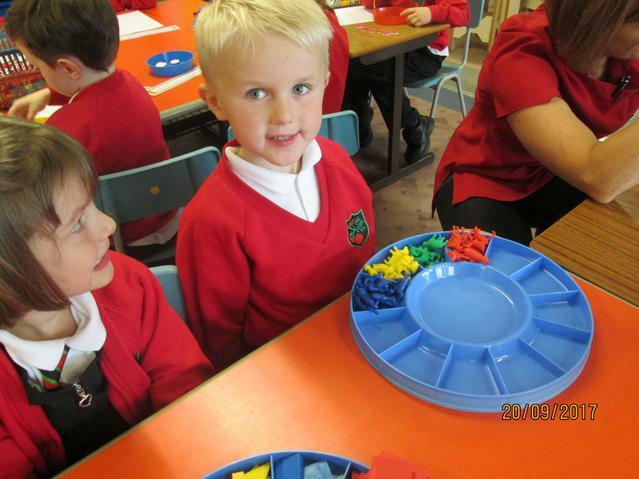 We have been loving making sets of these numbers with craft materials! 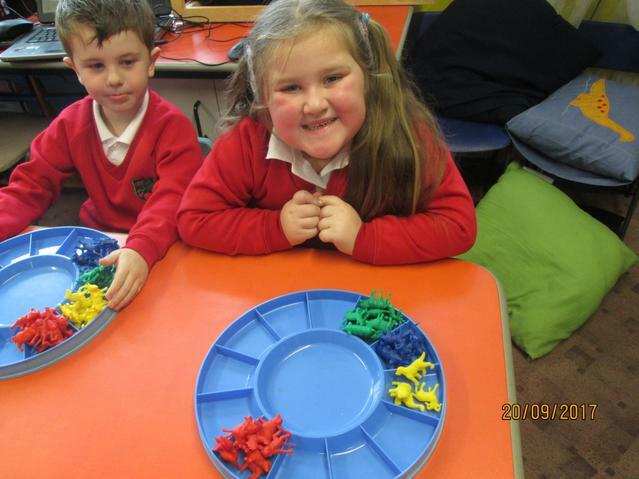 We can match sets to the correct number and can order numbers 1-5 very well! 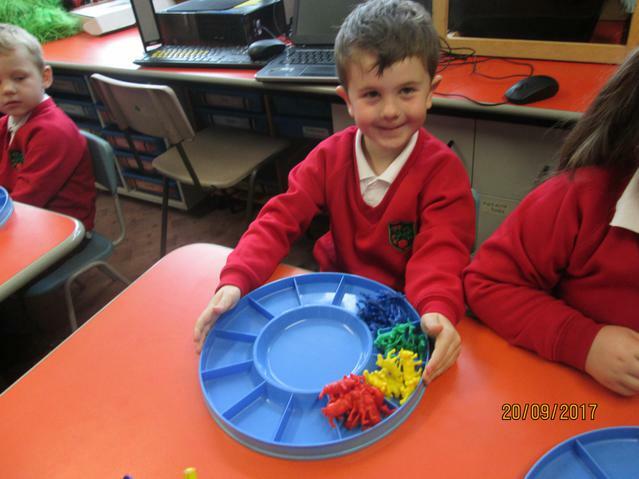 In our topic work we have been looking at patterns all around us! 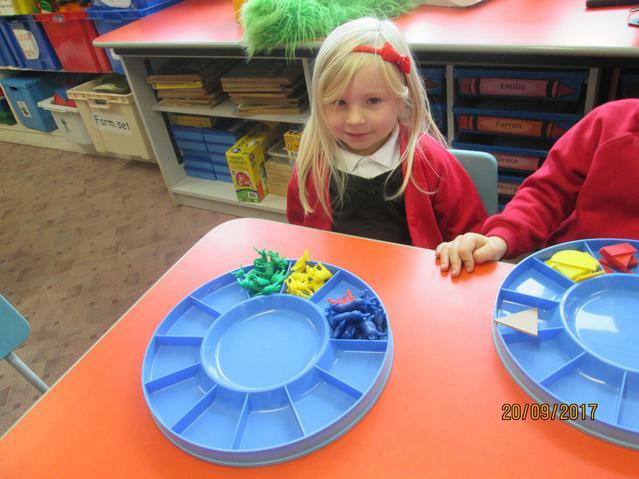 We have really enjoyed making our own patterns using beads, pegs, counters and craft materials! 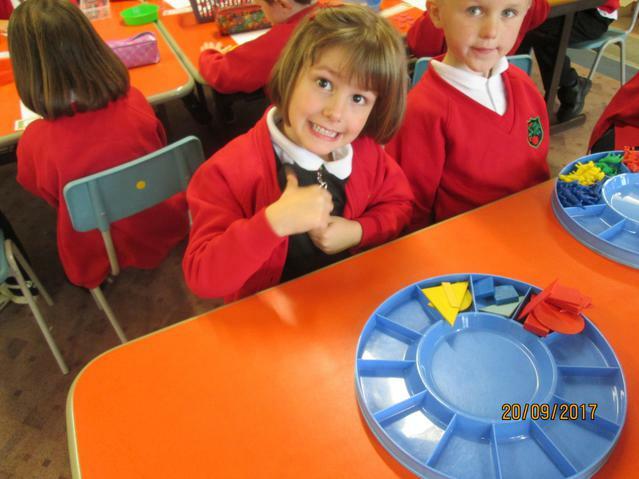 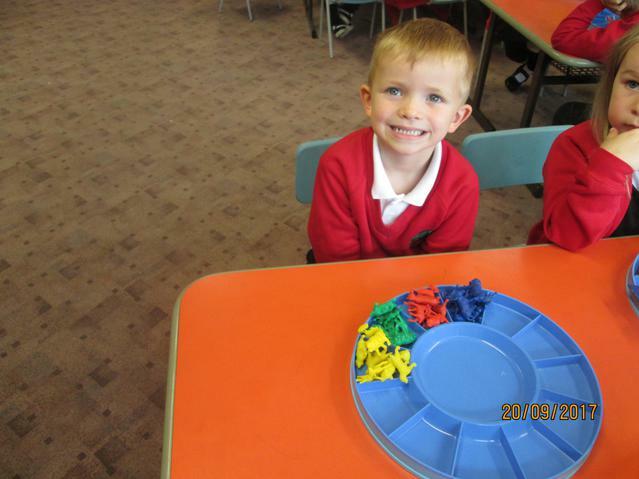 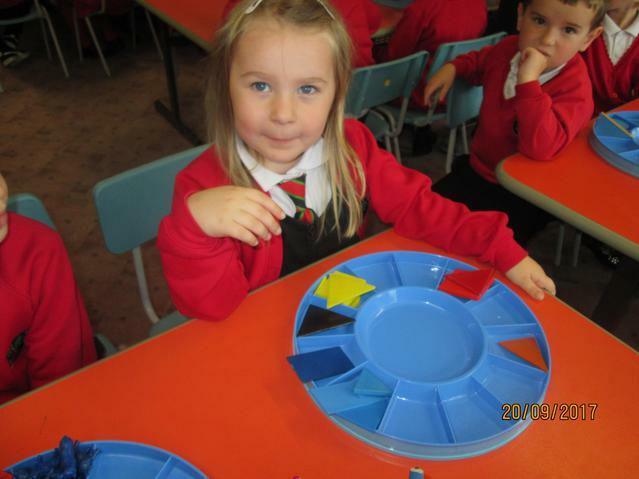 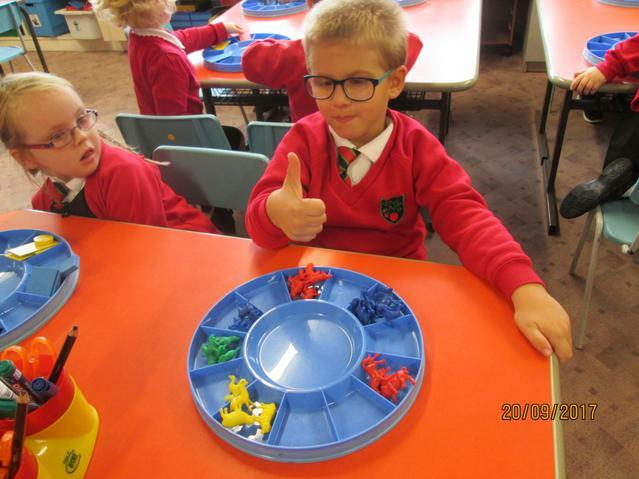 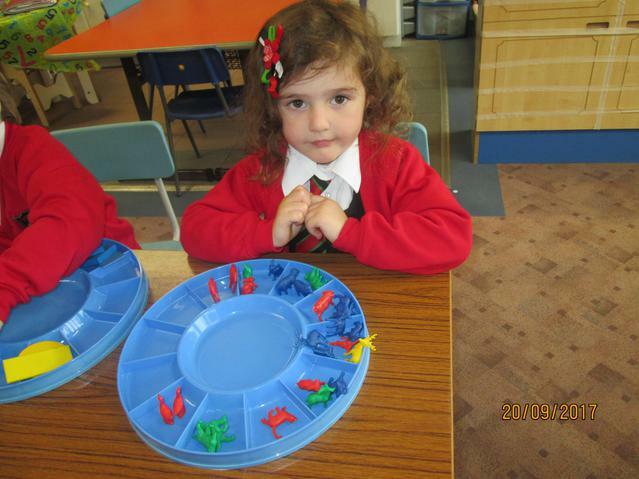 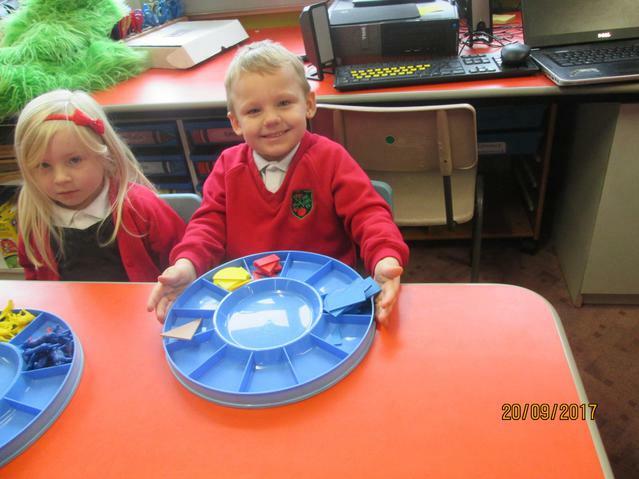 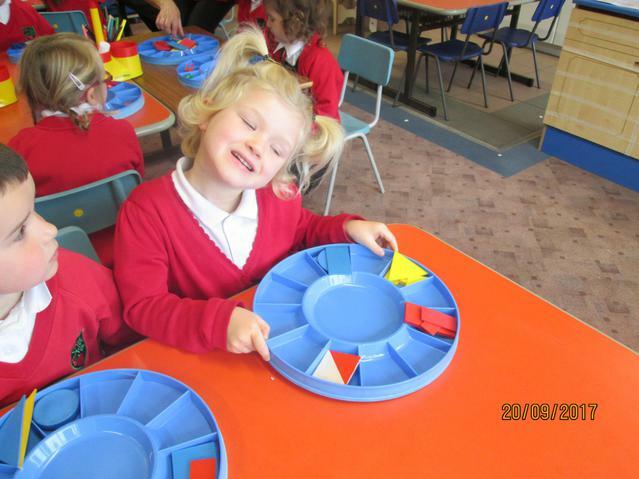 In P1 we have been sorting animals and shapes!